regularly thereafter. 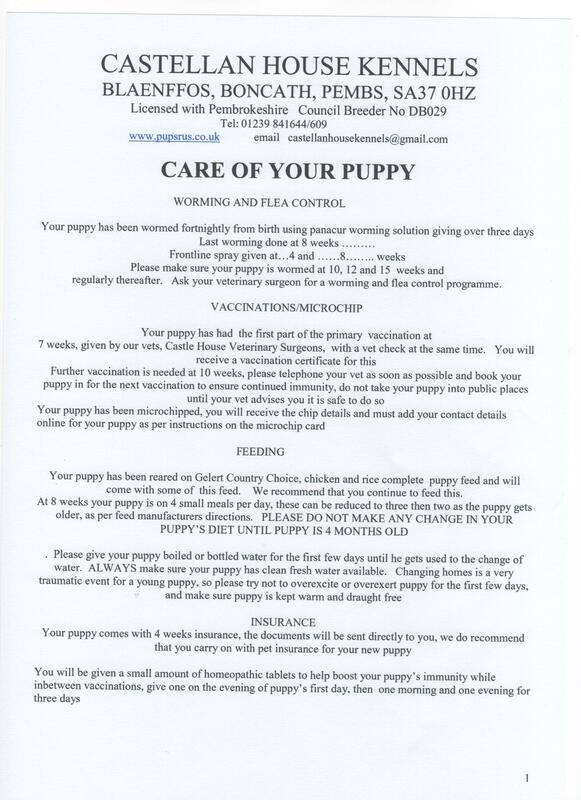 Ask your veterinary surgeon for a worming and flea control programme. Your puppy has been reared on Gelert Country Choice, chicken and rice complete puppy feed and will come with some of this feed. We recommend that you continue to feed this.